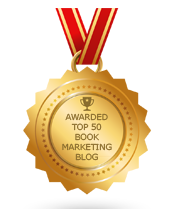 BookMarketingBuzzBlog: Can Books Inspire Policy Or Government Changes? Depending on your view of the world – and your values, politics, and faith – you may see certain things as being great or bad. But we can all agree that authors can help create a better world -- and a better impression of it. So where are all the books that can help us fix the world? Books that spotlight a problem are important, to a degree, for they get us looking at what needs to be addressed, but books that offer real solutions hold more promise. It’s not enough to complain, or expose a pothole – we need ideas and action to resolve problems. As a liberal, I can’t understand how Donald Trump became president nor how he holds onto the presidency amidst daily allegations of ethical violations, law-breaking, and rules-busting. All we hear is Russia this and Russia that but nothing has happened. Where are the impeachment hearings or something tangible? We hear a lot of bluster from Democrats and accusations by the media. Is there enough here to take action, to draw accurate conclusions that lead to punishment or change at the White House? The system feels broken and stagnated. Can books and authors come out with books that lead to change or action? Or will nothing come of all this? Al Gore, at it again, releasing an updated film version of An Inconvenient Truth. Could this be the type of content that leads, to change – or will we continue to go backwards with the U.S. withdrawing from a global climate treaty? Books, over the years, have led to changes in people’s views, which led to changes in actions – from how we treat women, blacks, and the disabled to how we parent, invest money and eat. But those changes take years – decades – and come slowly and in small doses. It’s very hard to move the public opinion needle despite facts, figures, and events. We live in an era where information is doubted or contested – fake news is really a problem; frauds dismissing facts as fake news is a problem; and over-relying on the Wild West Internet is a problem. We need books to settle things and get society moving in a uniform – and correct – direction. Books don’t just have competition to make money, but to be believed. Books can cover books. Media outlets can dismiss books. Movies, plays, and other forms of communication can run counter to books. Books struggle to dominate any discussion when so many options for information exist. But, it’s up to writers and book publicists to rally around the right books. Do we know which ones they are? Do they exist? What’s right today can be wrong tomorrow. We need a book that explains everything at once – or is that making it even harder for us? You might agree on one issue, but not another. But the book shouldn’t be viewed as a political party platform – it should be viewed as an unbiased, honest representation of the facts as we know them to be. It’s hard to promote the truth in a book because we don’t even recognize it when it’s in front of us. But something needs to be done to counter the lies, harm, and evil that circulate daily. We can’t sit back or stay on the sideline. Go write, promote, and read the books that are needed, that are most important, that are pure and good! So which books should we read? Which ones need to be written? Can we even agree on that? Books can inspire us. Time’s running out. If we want to see a better world, we need books to lead the way.